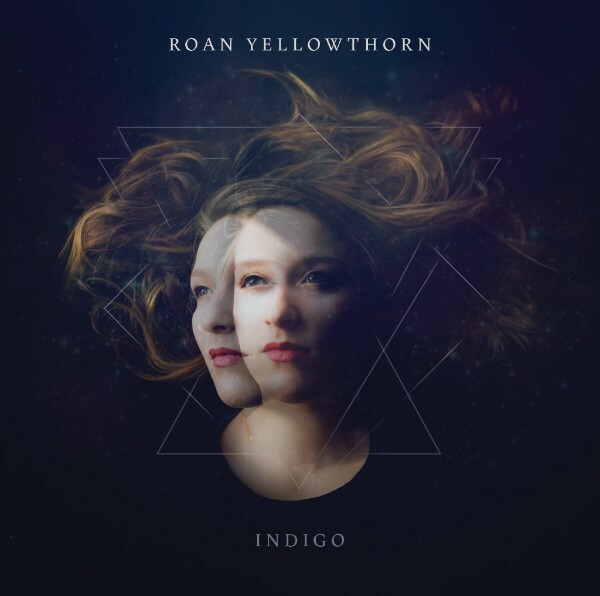 Roan Yellowthorn’s Indigo Out Now! | 2911 Enterprises, Inc.
Roan Yellowthorn’s Indigo Out Now! NEW YORK, N.Y. – Roan Yellowthorn front lady Jackie McLean, and multi-instrumentalist producer Shawn Strack, have released their first full-length studio album, Indigo, today! Their debut album is out now thru Blue Élan Records, and can be purchased, streamed or played at smarturl.it/ryindigo. Videos for the album’s first two singles, “Talk About It” (CLICK TO WATCH) and “Lie” (CLICK TO WATCH), are also out now. With influences ranging from Angel Olsen to ABBA to The National, Indigo is an album that intermingles pop, rock, indie, and folk – with a singer/songwriter’s heart – making the music simultaneously familiar and equally fresh. Jackie McLean, daughter of iconic folk and rock & roll artist Don McLean, seeks to make her own stake as an artist. Roan Yellowthorn is the alternative name she created for herself in college, with the intention of making it a permanent moniker. “I wanted to create something whimsical, nature-based, and reflective of my true soul”, she explains. “I felt I needed to have my own space, a safe space that I could create and explore inside of. Coming up with my own name was a way to give myself that space.” The name didn’t stick in college, but when Jackie started writing songs and wanted a pseudonym to create and perform under, Shawn suggested using Roan Yellowthorn, the name she’d crafted in college. This time, it stuck. * All songs written by Jackie Lee McLean; produced by Shawn Strack. To request an interview with Roan Yellowthorn, please click here. SEP 28 – Olive Ridley’s / Plattsburgh, N.Y.
OCT 03 – Hotel Cafe w/Colin Devlin / Los Angeles, Calif.
OCT 20 – The Bitter End / New York, N.Y.
NOV 03 – Upper Jay Arts Center / Upper Jay, N.Y.
NOV 25 – Mercury Lounge / New York, N.Y.